Ice cream lovers will once again find their favorite confection at a convenient downtown Albion location. Shorty’s Ice Cream Shoppe will be opening soon at the corner of Fifth and Main in the former Dairiette location. 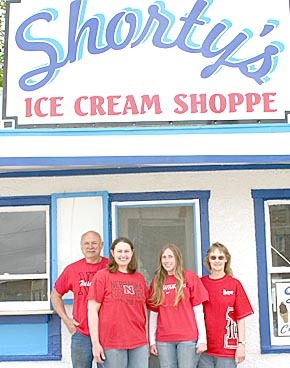 The Dave Landauer family is anticipating a May 1 opening of their new ice cream shop. Dave, his wife Deb, and their daughters, Jennifer and Janelle, will operate the business. Details in the April 28 Albion News Print and Electronic Editions.